Throughout the entire month of October at Mizner Park there will be daily and nightly opportunities to help support this worthwhile cause. Specialty pink cocktails will be available daily at 6 participating restaurants with a portion of the proceeds going to Boca Raton Regional Hospital. Coins For A Cause will also last the entire month, with all coins dropped into Mizner Park’s fountains being donated to the hospital’s Breast Cancer programs & services. Each night this month, you can also stop by Mizner Park after dark to see the entire center lit up with Pink lighting in the spirit of healing & hope. On Monday, October 8, 2018, Boca Raton Regional Hospital’s Kathryn Krickstein Pressel MammoVan will be at Mizner Park providing early breast cancer detection services & breast health education. Walk-ons are welcome but will be based on availability. On Friday, October 26, 2018, a special, FREE screening of the Mamma Mia! will be presented at Mizner Park Amphitheater. Doors will open at 7 pm, with the movie starting at 8 pm. Attendees are encouraged to dress in pink to show their support! Chairs will be available to rent for $5 & drinks & snacks will be available for purchase. On Tuesday, October 30, 2018, come celebrate Halloween at Mizner Park with trick-or-treating at participating merchants, a Monster Mash Dance Party, and other exciting Halloween-themed activities. Come dressed in costume and be sure to stop by and register at the Pink Patio next to Kendra Scott to receive a free pink glow in the dark necklace. Halloween at Mizner Park is brought to you by participating Mizner Park merchants, artNEST, and the Boca Raton Library. 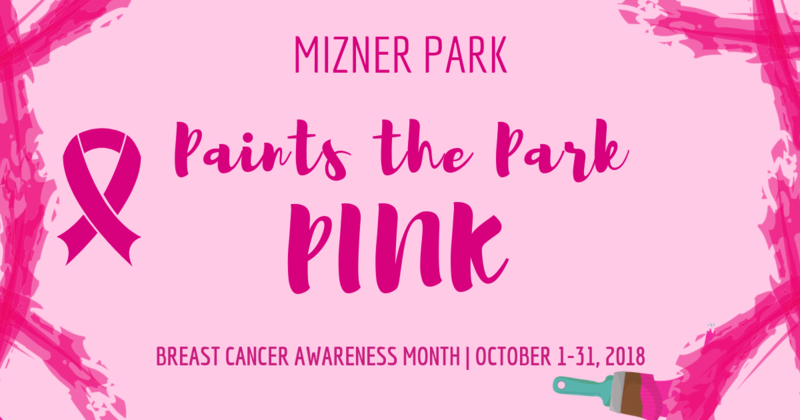 Come on out and join your fellow community members this October in support of Mizner Park’s Paint the Park Pink month-long fundraising initiative for Breast Cancer Awareness Month. This is the perfect opportunity to have fun and get involved in a small way that can help make a big difference! We at Champagne & Parisi Real Estate look forward to seeing you there! Click for the full schedule of Paint the Park Pink specials & events, as well as participating restaurants & merchants. For more information, you may also visit MiznerPark.com.